Welcome to FPOP Music's Lesson Headquarters! Through this site, you will have access to and be able to manage your lesson account through FPOP Music. Lesson schedule and payment information will be included. You will also be able to track lesson repertoire and practice time, if desired. Whether you are a beginner or continuing student, a child or adult, FPOP Music is the place for inspiring, supportive, and fun music lessons! 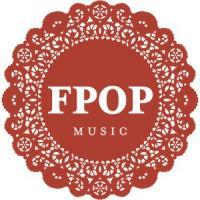 FPOP Music offers music instruction on the flute and the piano. Lessons are available in both home and studio settings. I received my Bachelor's degrees in Music and English from Augustana College in Sioux Falls, SD and my Master's in Music from the Arizona State University School of Music in Tempe, AZ. I am also a full time organist and have studied organ through the Continuing Studies program at Concordia University in St. Paul, MN. I have been teaching for over 25 years. In addition, freelance and accompanying work on flute/piccolo, piano,and organ fills my time. For more information, please see my main website at www.fpopmusic.com.